Notably, international students who have Canada Study Permits have the privilege of attending some of the best universities in the world. Government figures show that by the end of 2018, the number of Canadian Study Permits issued was 572,415. This figure shows a 16 percent rise on the 492,425 recorded in 2017. These permits cover students who benefit from the world-class education system offered in Canada, ranging from high schools, colleges, to universities. The number of students who seek study permits has increased by 180 percent in the last decade. The successive Canadian governments have always recognized the benefit of offering education to international students—it boosts the Canadian economy. International students pay relatively higher amounts of tuition fees than the Canadian students do, making them a good source of revenue for Canada’s learning institutions. Since Canadian education is much cheaper than that of the US, most international students view best Canadian universities as an affordable pathway to a world-class education. 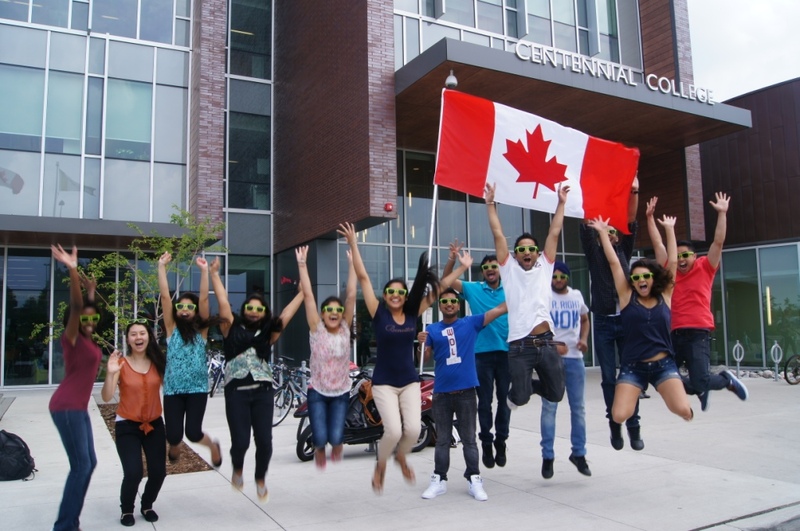 Indian and Chinese students dominate the international student landscape in Canada, accounting for about 55 percent (315,610 out of 572,415) of the total Study Permit holders by 2018. Canada has a conducive political climate. It is worth noting that the political situation in the US pushes many foreign students to choose Canada over the US as the best study-abroad option. Moreover, the anti-immigration stance taken by Trump’s government has made candidates switch their attention to Canada. As the US makes it more difficult for international students to move in, Canada does the opposite, especially for international students. How Easy is it for International Students to Live in Canada? The government has established a three-step process for international students to study in Canada. they should apply for and hold Study Permits when in fulltime education. they work and use all the experience they have gathered to qualify for permanent residence. These attractive study options make Canada one of the most attractive countries for foreign students. For instance, in 2018, Ottawa announced that it will accept at least one million new permanent residents in the next three years. notably, a large chunk of this number will be international students who have graduated from the Canadian universities. Furthermore, the government views them as blue chip new permanent residents, putting them on the pathway to integration. Furthermore, the Liberal government has tried to make it much easier for the international students to acquire permanent residence since coming to power in fall 2015. The federal government has introduced Comprehensive Ranking System points under Canada Express Entry for international students. 30 CRS points were added for three-year post-secondary, master’s, professional degrees, and doctorates. 15 CRS points were also added for post-secondary diplomas that last one or two years. This move encourages many graduates to aim to achieve a coveted Invitation to Apply.